So, what do you do at a Sandals all inclusive resort? The answer … pretty much anything you want to do! 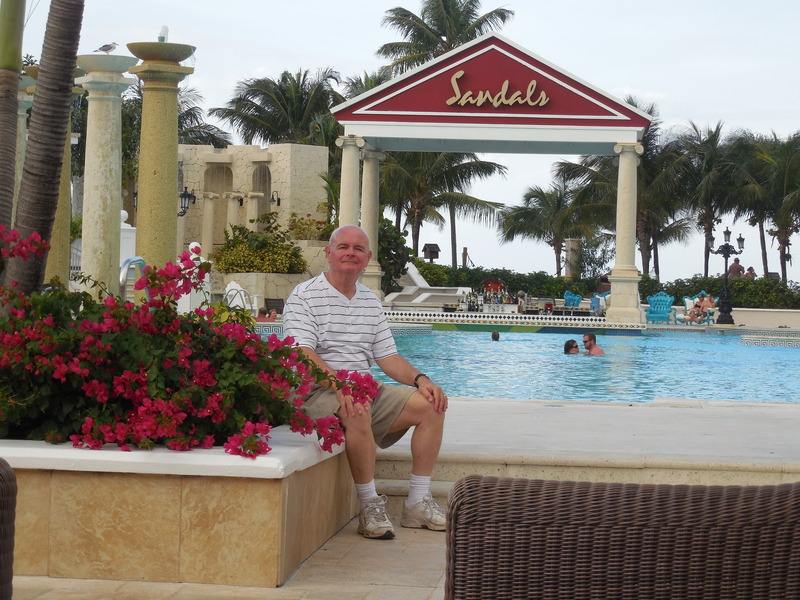 We recently visited Sandals Royal Bahamian resort located at Nassau, Bahamas. Sandals bills this property as “The Bahamas Most Elegant Resort” and I have no doubt that is true! The resort boasts 404 rooms & suites in 23 different categories, sits on 15 beautiful acres, and is located just 10 minutes from the Nassau airport. Some of the features include a private off-shore island, 10 gourmet restaurants, a Red Lane Spa, and continental breakfast in bed for all categories. There is the exclusive “Gordon’s Restaurant” for Butler suite guests. All those in Butler suites receive private airport transfers in a Rolls Royce or a Mercedes Benz!! When Sandals says “All-Inclusive” they mean it! Everything is included; All meals, all beverages, all water sports; snorkeling, scuba diving, water skiing, unlimited golf (where available), and … if you are staying on an island with more than one Sandals resort, you can visit the other resorts and try out their amenities and restaurants, as well! Sandals will even throw in a Free Martha Stewart wedding! Spa services are about the only thing you can spend your money on. 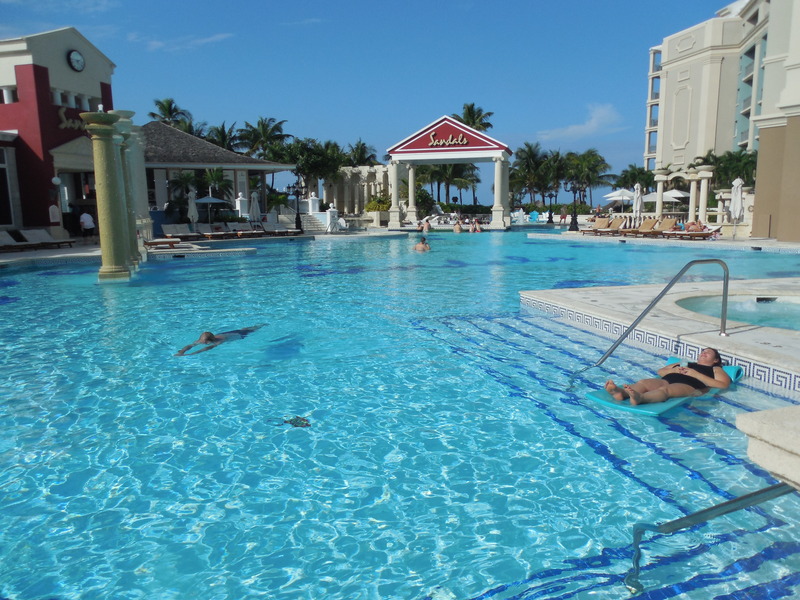 So, if you are looking for a top of the line All-Inclusive Vacation experience, consider a Sandals Resort! 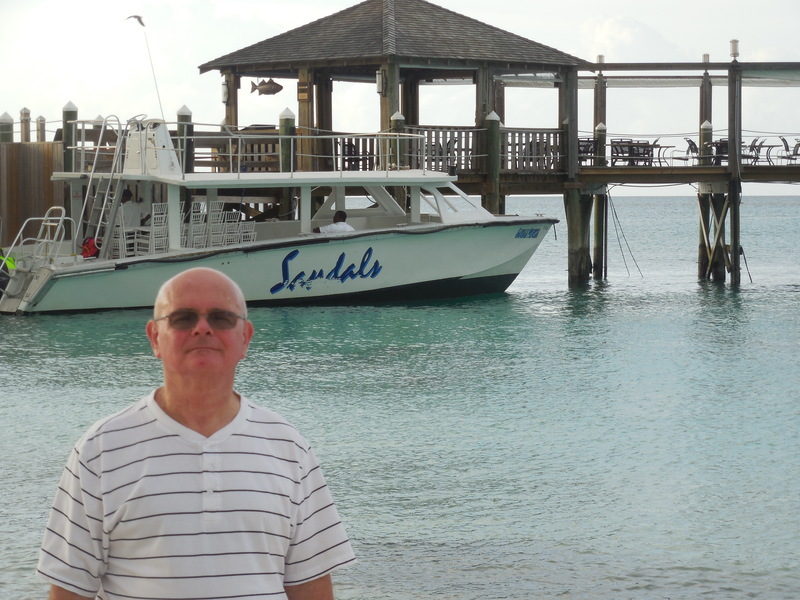 Visit our web site and click on the “Sandals” logo.